The Way to San José, on display in historic Diridon Station, celebrates nearly 100 years of Rotary in San José with a focus on transportation in Santa Clara Valley — from Native Americans travelling by foot and canoe, to the new expansion of the San José International Airport, and beyond to the BART extension and California’s future high speed rail systems. 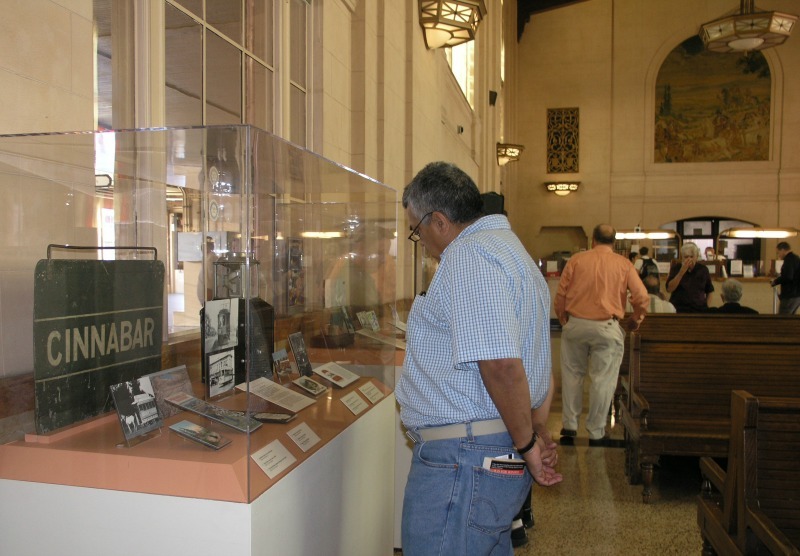 The brainchild of immediate past Rotary president Rod Diridon, Sr., the exhibit was funded by the Rotary Club of San José, curated and installed by History San José, and supported by the California Trolley and Railroad Corporation and the Mineta Transportation Institute. Diridon Station, on the Union Pacific Coast Line tracks, was built in Italian Renaissance Revival style and is listed on the National Register of Historic Places. It is located at 65 Cahill Street, near Santa Clara Avenue and Autumn Street, across from the HP Pavilion San José Arena. This former Southern Pacific station is a hub for many transit services including Amtrak, Caltrain, Altamont Commuter Express, Capital Corridor and VTA bus and light rail services.